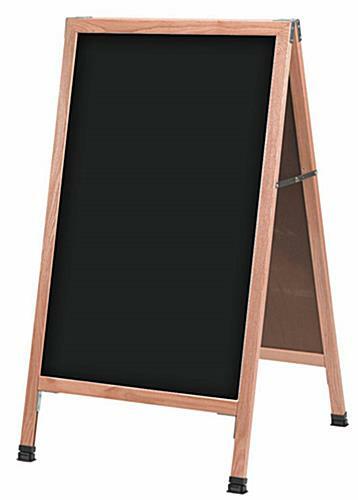 This A-frame chalkboard has a write-on blackboard surface for drawing and writing personalized announcements and messages. 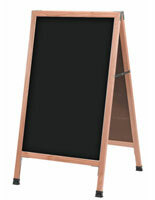 Each 42-inch-tall sidewalk sign is double sided and therefore captures the attention of passersby from any direction. 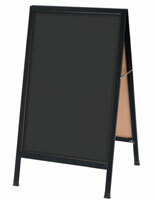 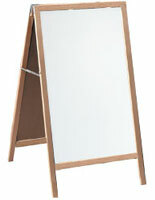 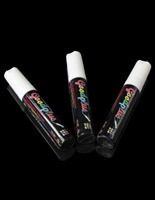 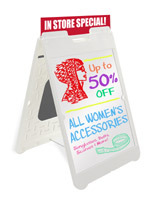 This write-on A-frame chalkboard works best when using stick chalk, which is included with every unit purchased. 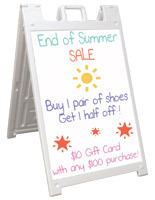 The double-sided sidewalk sign includes an interior hinge, which allows users to fold the unit flat at the end of the day. 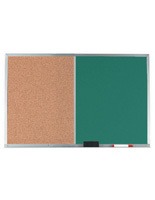 Buy a menu display board today to present personalized announcements and advertisements outside of your retail store or restaurant. 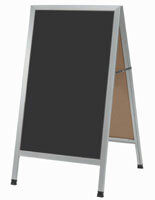 Please Note: This wet erase A-frame chalkboard should not be used outdoors during inclement weather conditions.